In the land of Dorthar, the Storm Lord reigns as king. 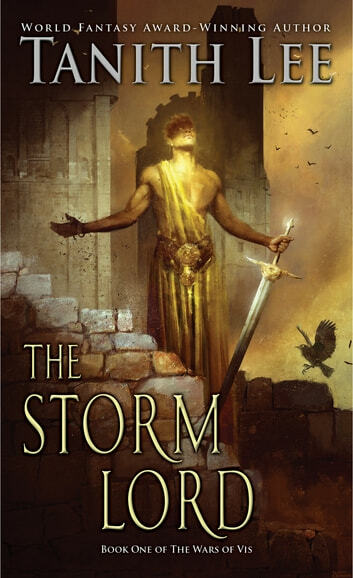 According to law, the Storm Lord’s youngest son will be the rightful heir. His queen, the cunning and ambitious Val Mara, intends her young son, Amrek, to be that heir. But fate has other ideas. When the Storm Lord abducts a Lowlander priestess, conceives a child with her, and then dies in mysterious circumstances, the unborn baby of that union suddenly becomes the heir to a vast kingdom—a situation that Val Mara is eager to rectify. When his mother also dies, the infant, Raldnor, must be taken far from the Storm Lord’s stronghold to escape the queen’s murderous wrath, forsaking all knowledge of his royal heritage. Raldnor grows up among the people of the Plains, but he is set apart from his friends and neighbors by the mystery of his past. Meanwhile, Amrek has taken the throne as his mother intended. If Raldnor is to reclaim his destiny and defeat the usurper who has taken his place, he will have to survive trials of strength, political sabotage, and threats against his life, regaining his birthright as the true Storm Lord of Dorthar.